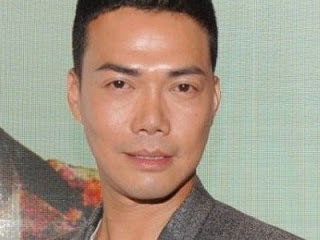 Michael Tse recently dismissed several rumours that have been passing around regarding his withdrawal from TVB. According to HK Channel, Michael, whose contract with TVB expired on 30 June, was previously rumoured to be joining Eric Tsang's new company, as well as director Johnnie To's Beijing-based Hairun Pictures. To this, Michael clarified, "Both the rumours about me joining Eric and Johnnie's agencies are not true. There were also reports saying that I will be joining Kevin Cheng's mainland studio. But all of these are false." The actor revealed that he is currently busy preparing for his "Young And Dangerous" reunion with co-stars Ekin Cheng, Jordan Chan and the others at the Hong Kong Coliseum in November. The cast is also planning to go on tour together. When asked whether TVB had offered him an eight-figure salary to make him stay, Michael neither admitted nor denied the report, and only stated, "Money is not my top priority. It's pointless to be paid a lot just to repeat the same performance." He added, "I think Hong Kong is the best place for newcomers to begin their career. [The role] Laughing Gor gave me the chance to venture into the mainland market. I want to work with different people so that I can keep growing. I don't want to remain at once place."